Easter is the most important festival in the Christian calendar. It celebrates the resurrection of Jesus on the third day after his death, executed on the cross. The Easter story is at the heart of Christianity: three days that changed the world. The week had started well for Jesus and his followers, welcomed as celebrities by the people of Jerusalem. 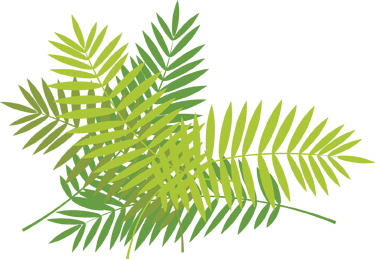 There were no selfies or Twitter feeds as Jesus entered the city on a young donkey but palm leaves and cheering were definitely trending on what we now call Palm Sunday, the first day of Holy Week. By the Thursday, the atmosphere was changing. Jesus gathered in a room with his friends. Washing their feet, he called on them to love and serve one another. 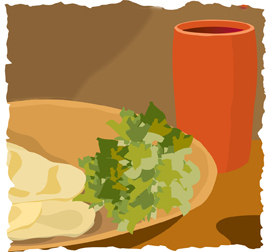 He shared a special meal with his friends at the festival of Passover, telling them that the bread he broke was his body, and the wine they shared was his blood. They were mystified. Then he announced that one of his friends would betray him. That night, as Jesus had warned, Judas betrayed him to the authorities. Jesus was humiliated and locked up; Judas committed suicide, unable to cope with what he’d had to do; and the disciples were left to deal with their loss. Friday brought Jesus’ trial, beatings and humiliation and a failed appeal to the people. Despite the celebrity welcome only five days earlier, the crowd now condemn Jesus to death. After carrying his own cross to the local execution site, Jesus was nailed to that cross, alongside two other men. 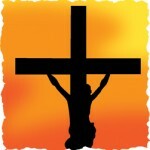 On the cross, Jesus, with his mother and friends watching, cried out to God, “Father. Why have you forsaken me?” Why had everything come to this? Understanding his role in Salvation, Jesus cried out “It is finished”, his head fell and he died. Taken from the cross, Jesus was wrapped in burial robes and laid to rest in a donated tomb that the soldiers sealed with a massive rock. On Holy Saturday, as the city returned to normal, Jesus’ friends and family mourned, while soldiers guarded the tomb. 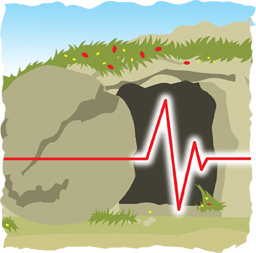 The next morning, Jesus’ follower Mary Magdalene, followed later by some of the disciples, visited the tomb only to find that, despite the guards, the rock had been moved and Jesus’ body was gone. All that remained were the burial robes. Beside herself with grief, Mary asked a man she took to be a gardener what had happened to the body. When he spoke to her, she realised he was Jesus, risen from the dead, and ran to tell the disciples – “I have seen the Lord,” she cried out. Over the next few days many more of the disciples met the risen Jesus and the news of his resurrection spread quickly. As with Christians around the world, Christians in Caversham will be marking the journey of betrayal, death and resurrection this Easter.